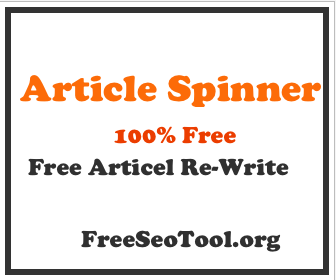 Welcome to FreeSeoTool Broken Links Finder Tool. When you click on a link, and it shows a 404 error page, this is called a broken link. These links are very unpleasant for the users of your website, and it can leave adverse effects on your reputation. FreeSeoTool has created this Broken Links Finder Tool, which will quickly locate all broken links on your website and will also show the URL of the page which is giving a 404 error message. Just enter the URL of your site and click on the 'Submit' button. This tool will crawl your whole website and will neatly display the results in a chart form, showing you both the Status Code and Status of every page. Our Broken Links Finder crawls your website and shows the reports in a clear and well-designed chart. It requires no download, no payment and no software maintenance. There may be hundreds of pages on your website and dealing with these pages and guaranteeing top quality for each can be an overwhelming procedure. As marketing teams keep on putting resources into new digital channels, the requirement for SEO tool or website links count checker that can help you in your online business is rising. Some people think that they just need quality content and CMS to start their website. But keep in mind that your CMS is a just a tool that permits you to create new site content. Your CMS does not have the responsibility of checking broken links on your website. So you need a tool which can help you in this task and that special tool is FreeSeoTool Broken Links Finder. Broken Links not only severely affects the user experience but in some cases, it can also affect your site's SEO and impact your search position as well. If your visitors experience broken links, then it's obvious that these visitors will immediately leave your website (which means high bounce rate), they will not visit your site again and will not share your content. As this user engagement decreases, search engines understand that your web page is not giving quality information and your rankings will decline. Finding broken links on your website requires many hours and human effort because you have to go through hundreds of site pages, to find and alter broken links. Even it is impossible for a human, to locate broken links on a website. So all you need is FreeSeoTool Broken Link Finder Tool which will crawl your site and display the pages with 404 error or broken links within a few seconds only. Our team of professionals have created Broken Links Finder, which will make your much life easier than before. It will quickly search for broken links on your website and saves you hours or even days, of time wasted manually finding dead links, thus giving you more time to engage in other SEO activities.